This homeowner has a story and a half home that was suffering from ice dams, water intrusion, comfort issues, and high energy bills. A home performance assessment was conducted to determine the “lowest hanging fruit” for resolving all of their issues. The home performance assessment revealed that the side attics, slants, and upper flat attic area were experiencing a lot of air leakage and had very low levels of insulation. 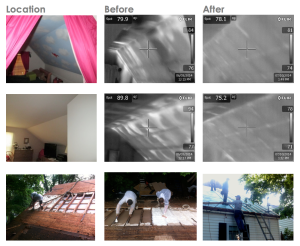 Proper attic ventilation was a challenge based on the design and construction of the home. 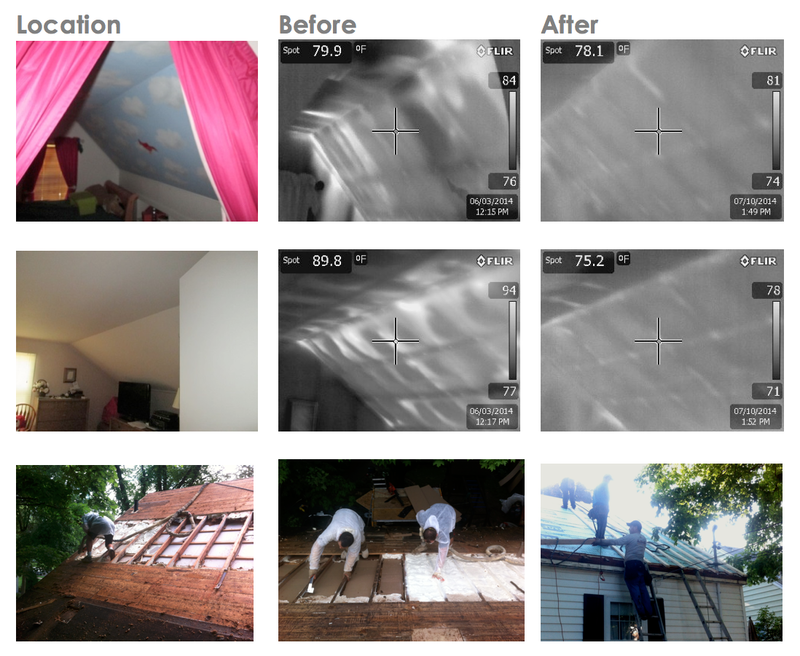 In order to gain access to the inaccessible attic areas, roof decking was removed and closed cell spray foam was installed from the exterior. The roof was re-decked and a secondary roof deck was iinstalled over 1″ sleepers providing continuous roof ventilation. The end result created an air tight, well insulated and well ventilated roof system. Another test was performed after the retrofit was completed and revealed that the total air leakage of the home was reduced by 33%. The scope of work completed will not only prevent ice dams, but also improves comfort and efficiency which reduces energy bills.